Everyday life poses a continuous challenge for indi-viduals to encode ongoing events, retrieve past events, and predict impending events [1-4]. Attention and eye movements refect such online cognitive and memory processes [5, 6], especially through "'anticipatory looks" [7-10]. Previous studies have demonstrated the ability of nonhuman animals to retrieve detailed information about single events that happened in the distant past [11-20]. However, no study has tested whether nonhuman animals employ online memory processes, in which they encode ongoing movie-like events into long-term storage during single viewing experiences. 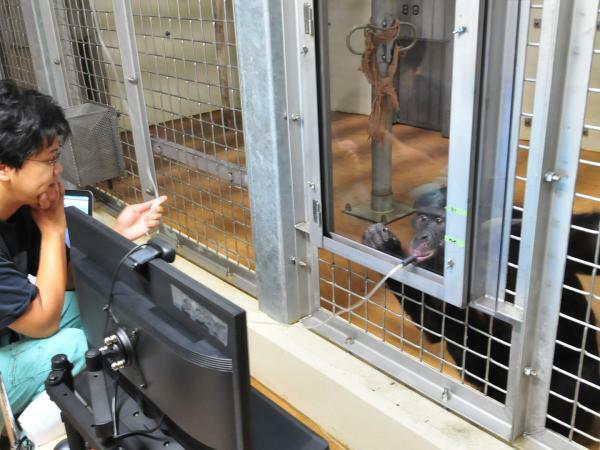 Here, we developed a novel eye-tracking task to examine great apes' anticipatory looks to the events that they had encountered one time 24 hr earlier. Halfminute movie clips depicted novel and potentially alarming situations to the participant apes (six bonobos, six chimpanzees). In the experiment Q1 1 clip, an aggressive ape-like character came out from one of two identical doors. While viewing the same movie again, apes anticipatorily looked at the door where the character would show up. In the experiment 2 clip, the human actor grabbed one of two objects and attacked the character with it. While viewing the same movie again but with object-location switched, apes anticipatorily looked at the object that the human would use, rather than the former location of the object. 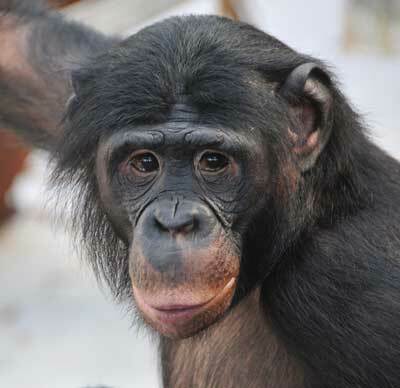 Our results thus show that great apes, just by watching the events once, encoded particular information (location and content) into long-term memory and later retrieved that information at a particular time in anticipation of the impending events.